Are you approaching the big day when you'll get to meet the little one you’ve been carrying for nine often-grueling months? Have you ever been so excited and so nervous at the same time? You probably have it in the back of your mind that you need to pack that hospital bag sooner rather than later. After all, Baby could come early, and you don’t want to be caught by surprise. But how can you prepare for the unexpected? What do you pack? Which items are actual must-haves — and which are waste of space? Read on. 1. Lip balm: This may sound silly, but hospitals have a way of draining the moisture (and perhaps other things) from you, most especially your lips. Something as small and simple as lip balm can work wonders to make you feel like a human during an otherwise arduous few days. 2. Cell phone charger: I mean, duh. But really, this one is worth emphasizing because it’s so easy to forget. You probably have your charger plugged in somewhere in your home, and it’s the last thing on your mind when your water breaks or you’re contracting and it's time to run to the hospital. Your phone will not only be your lifeline to the outside world (and your camera for new baby pics); it can also be used as a timer to measure contractions, as a meditation focal point while you’re in labor, and, of course, for entertainment when you’re tired of watching CNN on the hospital TV. 3. Snacks: Hospital food is no one's favorite. Plus, it may not even be available while you’re laboring (which could be hours or even days) or after Baby comes and you get out of recovery and into your room (when you’re truly starving). Snacks that are wholesome and packed with energy, like granola bars and packets of peanut butter, are good to bring. Opt for shelf-stable items in small portions, as you likely won’t have access to a fridge. Snacks are also helpful to keep your partner/doula/friend/family going. You might not want to eat, but the person in the room who's not pushing out a watermelon might. 4. Your birth plan: Most people don’t think to do this, but if you have a doula or a midwife, they may guide you through creating a birth plan, which is essentially written instructions for how you would like your birth to go. Of course, things often don’t go as planned, so the birth plan also accounts for that and lays out how you would like things to go if something unexpected happens. Included are things like whether and when you might want an epidural, who should be allowed in the birth room or operating room with you, who you want to cut the umbilical cord if not hospital staff, etc. It’s a health care proxy plan of sorts. 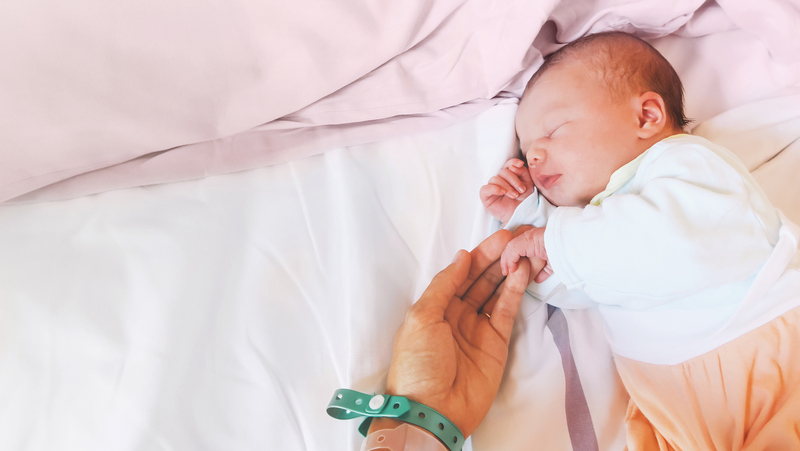 It’s not guaranteed that the medical staff will look at your birth plan or abide by it, and there’s never certainty that you won’t want to deviate from it when you’re in the moment. But still, it’s a helpful way to organize your preferences and could prove quite useful. 5. Clothes for you: Be sure to pack comfy clothes to wear in the hospital if you don’t want to flash everyone in your flimsy hospital gown. But don’t assume that you will magically go back to your pre-baby size immediately after giving birth — your maternity clothes are likely to fit best for the time being. Don’t bring anything nice or uncomfortable, either; the last thing you want is to feel even more constricted and in pain than you likely already are. Opt for loose-fitting clothes that make you feel at home. Big, cheap underwear is a really good idea, as you will be bleeding and uncomfortable down there, regardless of how you give birth. Also, it bears mentioning that your partner should pack a hospital bag too, particularly if they will be allowed to stay with you. My wife helped me pack my bag but was so excited and nervous that she forgot to pack her own (and proceeded to bring one lonely pair of pants with no shirt or underwear to accompany it). 6. Outfit for Baby: Remember to bring an outfit for Baby to go home in. Think about weather-appropriate attire, particularly if it’s cold out. New babies don’t retain heat well and need to be bundled up (conversely, if it’s hot out, don’t overdress your baby, as they can overheat easily as well). Don’t go crazy with the outfits, but it’s OK to bring a couple of different sizes, as you don’t really know how big your baby will be. We also brought our own diapers, opting to use organic ones rather than the tried-and-true Pampers the hospital gives out. 7. Toiletries: No soap is more depressing than hospital soap (except for maybe prison soap, though I think you have to buy the soap there?). That chemical-laden stuff will dry you out in no time. Ir you bring your own toiletries, you can trust you'll really enjoy that first shower post-birth. And don’t forget your toothbrush either; your mouth (and guests) will thank you. Leave the following at home. You don’t need them, you won’t use them, and you’ll be thankful you left more room in your bag for the essentials. Follow these tips to get your packing checklist started, and you won't go wrong. (What are you waiting for? Baby could show up at any moment!